Aromatherapy is an increasingly popular holistic treatment dating as far back as prehistoric times. Aromatherapy was, and is currently, used to promote physical, mental and spiritual well-being. Almost every person on the planet has experienced some sort of aromatherapy benefit, often at times without realizing it. Today, modern medical science has come together with our ancestors ideas and it is now scientifically proven that essential oils can be used for therapeutic aromatherapy purposes. Scientific research from outstanding educational foundations (Miami School of Medicine, University of Northumbria, Newcastle upon Tyne, United Kingdom, Japanese Hirosaki University Hospital, New York University Medical Center, etc.) yielded encouraging results for aromatherapy efficiency and confuted the major arguments of the skeptics. As of June 2012 there are 11,824 published scientific medical research papers, conducted around the world, on essential oils, and another 712 relating to aromatherapy on the US National Library of Medicine, National Institutes of Health website PubMed.gov. Aromatherapy is the use of essential oils. These oils are the concentrated essences taken from the flowers, fruit, seeds, leaves and bark of certain plants. There are about 400 essential oils. 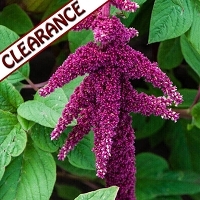 Some are used to make perfumes or cosmetics. Holistic aromatherapy uses oils that are thought to have healing properties, but only a small number of these are commonly used in people with cancer. Some of the most popular include lavender, rosemary, eucalyptus, camomile, marjoram, jasmine, peppermint, lemon, ylang ylang and geranium. Aromatherapists believe that aromatherapy can boost well being, relieve stress, and help to refresh your body. So it may improve your physical and emotional health. The theory behind aromatherapy is that each essential oil has its own specific health benefits. For example, it is suggested that lavender can help with sleeping problems, and may relieve muscle tension and anxiety. There are a couple of theories to explain how aromatherapy might work. The first is that you directly absorb the oils through the skin into your bloodstream. The oil then travels through your body to affect a specific organ or function in your body. Many essential oils are thought to have an anti-inflammatory effect, which can help with arthritis and muscular pain. Other oils may help with breathing problems. Some can prevent or fight off infections by helping boost your immune system or by directly destroying bacteria, viruses or fungal infections. The second theory relates to your sense of smell. The nerves used to smell are found high up inside your nose and they connect directly to your brain. 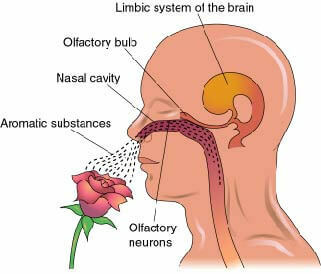 Foods, flowers, perfumes and plants all release tiny molecules into the air and stimulate your smell (olfactory) nerve cells. The cells send a message to your brain to interpret what the smell is. The smell can then set off a reaction in your body, both emotionally and physically. For example, it might change your heart or breathing rate or make you feel calm or excited. Because essential oils can stimulate your sense of smell, it is thought that this process may play a part in the effects of aromatherapy. Some oils can have local effects known as topical effects. For example, some research seems to suggest that lavender oil can help the skin to heal after a burn. Although we don�t know for sure, any helpful effects from aromatherapy are most likely to come from a combination of the physical effects the oils have on the body (smell and absorption into the bloodstream), as well as how they work on your mind and spirit.